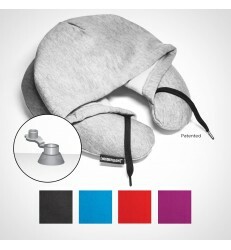 A travel essential, our hooded travel neck pillow contains an inflatable pillow for ultimate space-saving convenience. The portable travel pillow's adjustable drawstrings can be pulled to create added eye coverage to block out the world around you. 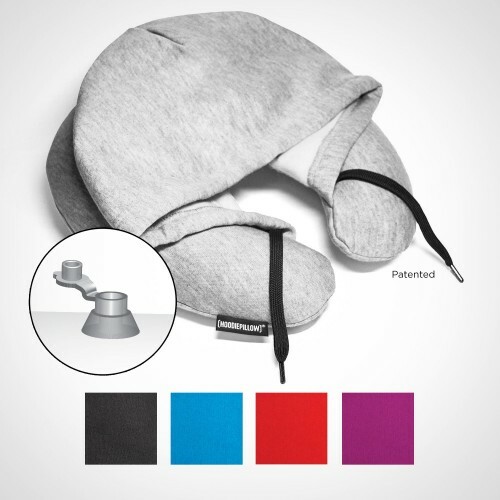 The Travel HoodiePillow® inflatable neck pillow is crafted from premium sweatshirt material. Hand wash. Line dry.